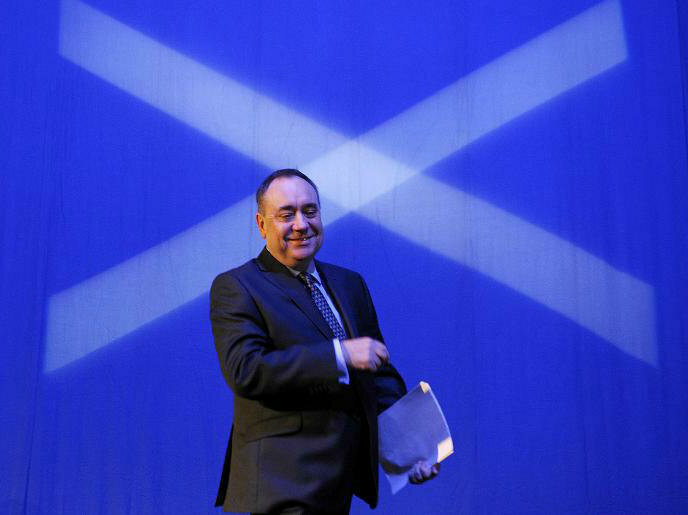 The ‘yes’ campaign have taken the lead in a new poll for the Scottish independence referendum, in a result that will send shockwaves through the United Kingdom. With just 11 days to go until polling day, a YouGov poll for the Sunday Times gives 47 percent for the Yes campaign, 46 peace to No, and 7 percent undecided. With undecided voter removed, this give the yes campaign a lead of 51 percent to 49. This is the first time in the campaign that the ‘yes’ side has taken the lead after badly trailing in the initial stages of the campaign. While these figures may cause panic among the ‘no’ camp, they remain within the margin of error. However, with such a short space of time left, this shows just how nail-bitingly close the result will be. If Scotland does vote for independence on 18 September, it will plunge the UK into a constitutional crisis unparalleled in its history and throw next year’s general election into doubt. It is likely that an emergency law would have the be passed either delaying the election or excluding Scottish constituencies from sending MPs to the British parliament. This would need to happen to prevent a situation where Scots end up sitting on both sides of the negotiating table in break-up talks. Excluding Scottish constituencies, however, would severely harm the electoral prospects of the Labour Party, who draw a significant amount of their support from the country, and possibly even swing the outcome of the next general election. Pressure would also mount on David Cameron, with many wondering whether he could survive the ignominy of being the Prime Minister who presided over the loss of the Union.